Take a trip into Magic's history by reading the player profiles of each class, including biographies, career highlights, and statistics, famous decklists, and videos from past Pro Tours and Worlds. The Magic: The Gathering Pro Tour Hall of Fame will enshrine the most significant and influential competitors of the game. It will consist of an online museum dedicated to the Hall of Fame members, as well as the Pro Tour Hall of Fame Exhibit, which will be on display at selected events. Players will be voted into the Pro Tour Hall of Fame on an annual basis by a select committee. The player must have 150 lifetime Professional Points as of April 24, 2016. The player must have participated in his first Magic: The Gathering Pro Tour at least 10 seasons prior to the current voting year. If a player receives votes on less than 10% of the returned, un-weighted ballots for three consecutive years of voting, that player shall be removed from the Hall of Fame selection ballot until they re-qualify pursuant to the process below. A player may be added back to the Hall of Fame selection ballot if that player receives 4 Professional Points during the period from April 12, 2015 to April 24, 2016. Future ballots will examine a similar span of time for return to the ballot. Selection of players for the Pro Tour Hall of Fame will be conducted via the Hall of Fame vote. The Hall of Fame vote will be comprised of votes from the Selection Committee. Each member of the Selection Committee will receive a ballot of eligible players based on the criteria set forth above. From that ballot, each member will select a maximum of 5 players. Players who appear on at least 40% of the ballots will become members of the Pro Tour Hall of Fame. In the event that no player appears on at least 40% of the weighted ballots, the player receiving the most votes will become a member of the Pro Tour Hall of Fame. Newly elected members officially become members of the Pro Tour Hall of Fame at the induction ceremony held at Pro Tour Kaladesh in Honolulu, Hawaii. Currently suspended DCI Members are not eligible for membership in the Selection Committee. The members of the Selection Committee will be made public. While the results of the voting will be made public, the votes of individual members of the Selection Committee will not be made public by Wizards of the Coast. Selection Committee members may choose (and are encouraged) to make their votes public. Selection Committee members who also appear on the ballot are not permitted to vote for themselves. Members are permitted to abstain from voting for the maximum number of players. Selection Committee members are required to avoid politics, unseemly behavior, or any other action that could harm the integrity of the voting process, as determined by Wizards of the Coast in its sole discretion. When in doubt, members are asked to think of their ballot as if it were the only one that counted. Selection Committee members are forbidden from selling or trading their votes. Each Hall of Fame member will be enshrined in the Pro Tour Hall of Fame Exhibit and the Pro Tour Hall of Fame portion of the wizards.com website. 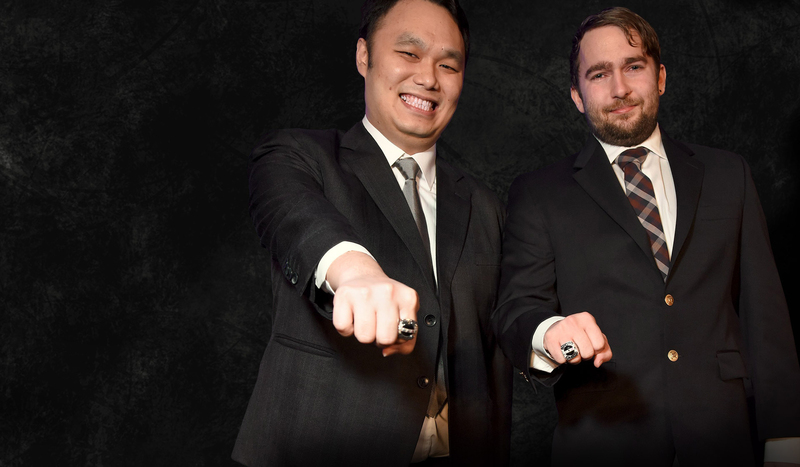 In 2016, newly inducted Hall of Fame members will receive the official Pro Tour Hall of Fame ring. In 2016, Hall of Fame members-elect will receive airfare and hotel accommodation* to participate in Pro Tour 2016 #4 in Honolulu and attend the Pro Tour Hall of Fame induction ceremony. Each Hall of Fame member will receive (1) an invitation to each Pro Tour tournament, (2) a $1500 appearance fee at the Pro Tour in which the member participates and at which the Hall of Fame induction ceremony takes place, (3) a $250 appearance fee at the World Magic Cup tournament in which the member participates, (4) a third-round bye at each individual-format Grand Prix in which the member participates, (5) an invitation to each World Magic Cup Qualifier in the country designated by the member's Nationality, (6) a first-round bye at each World Magic Cup Qualifier in which the member participates, (7) complimentary sleep-in special at each Grand Prix (when available), and (8) 35 QPs on Magic Online on the third Wednesday of each month. In the event that a Pro Tour Hall of Fame member would receive QPs based on both Pro Club level and membership in the Pro Tour Hall of Fame, that member only receives the benefit which consists of the higher amount of QPs. Note: As of August 11, 2014 Hall of Fame members are no longer permitted to play in Preliminary and Regional Pro Tour Qualifiers or Magic Online Pro Tour Qualifier Preliminaries and Finals. Wizards of the Coast reserves the right, at its sole discretion, to revoke, reinstate, or otherwise alter the status of any Hall Fame member or Hall of Fame member-elect, to discontinue the Hall of Fame, to suspend or withhold an invitation and/or airfare and travel, and to change this document at any time without notice. Beyond the eligibility and limitations previously outlined, members must adhere to the following rules and procedures to obtain their benefits. In order to receive byes at an event, the member must fulfill all entry requirements for that tournament, including but not limited to, payment of applicable entry fee, presentation of identification, decklist, and signing consent forms. In order to receive Invitations to Pro Tour and World Magic Cup Qualifier events, the member must fulfill all entry requirements for the applicable tournament, including but not limited to, payment of any entry fee, presentation of identification, decklist, and signing consent forms. For information regarding travel and hotel accommodations, please review the Premier Event Invitation Policy which is incorporated into these rules by this reference. In order to receive an appearance fee, the member must attend, compete in at least three rounds of the tournament (not including rounds in which the member received a bye), and be listed as finishing in the applicable tournament for which he or she is to receive the appearance fee and participate in all mandatory aspects of the event, including without limitation media interviews or specialty events. Notwithstanding the forgoing, Wizards reserves the right to award or withholding appearances fees at its sole discretion. In order to receive Magic Online benefits, a member must 1) be at least eighteen (18) years of age, 2) have a valid Magic Online account, and 3) be eligible to receive prizes pursuant to the Magic Online User Agreement. For more information on prize eligibility, please see The Magic Online User Agreement. In the event a player is inducted into the Pro Tour Hall of Fame, the AQP award benefit on the next scheduled award date. Please visit the Magic Online Championship Series information page for complete information on the Magic Online Championship Series program, Magic Online Championship Monthly and Playoff events, and Qualifier Points. QPs are also awarded to members of the Pro Tour Players Club. In the event that a Pro Tour Players Club member would receive QPs based on both Pro Club level and membership in the Pro Tour Hall of Fame, that member only receives the benefit which consists of the higher amount of QPs. For complete details of Pro Tour Players Club benefits, please visit the Pro Tour Players Club Guidelines and Procedures.